A Bar Mitzvah is more than just an event - it is a process. It is the process through which a young boy crosses the threshold into manhood. A Bar Mitzvah is probably the most important milestone in a young Jewish boy’s life and the excitement of the standard preparations such as Torah reading lessons and party preparations are only part of the picture. 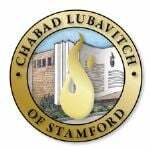 At Stamford Chabad we aim to take the Bar Mitzvah Prep process one step further. Through the Bar Mitzvah Club we strive to give our boys a good feeling about being a Jew – for their personal Bar Mitzvah celebration and beyond.